The Escalade has a reputation that precedes itself, it has been the king of bling since 1999. The Escalade is one of the SUVs that lead the market away from luxury sedans and into luxury SUVs. The latest generation is no different. Expect iconic Cadillac style, inside and out. If you want a large SUV with distinctive LED lighting, huge rims, and an oversized grille that demands attention, there is no substitute for the Cadillac Escalade. Considering the Escalade has several lower priced alternatives sharing the exact same platform, it’s not much of a value proposition. The Chevy Tahoe and GMC Yukon are more functional alternatives with better ride quality. Yet, they lack the interior and exterior refinement found with the Escalade. Value-concerned consumers should consider these models as well as the Lincoln Navigator before buying an Escalade. 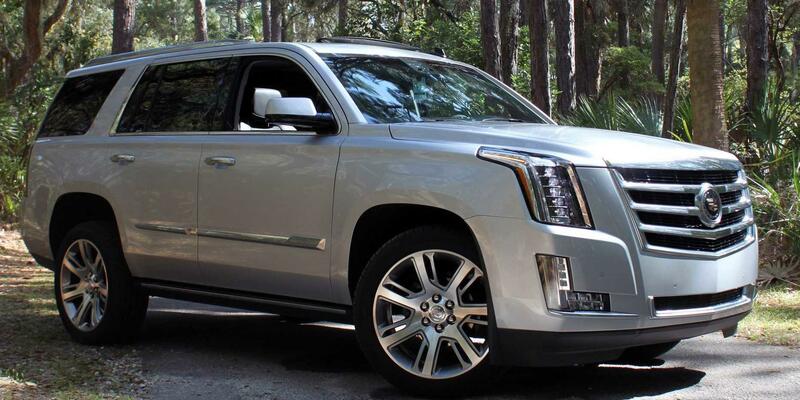 For a 5,500 lb SUV, the Escalade is surprisingly quick to 60 mph at 6.1 seconds. Its athleticism is best left to straight-line sprints. Drive on a curvy road and the big SUV will lean hard and struggle to remain composed. This is acceptable and understandable, given the sheer size of the Escalade. We would hope Cadillac would make up for these shortcomings with ride quality, but it doesn’t. The huge 22in rims cause the Escalade to ride rather harshly. Road and wind noise are muted by the excellent cabin quality, but bumps and cracks vibrate throughout the SUV. We think it’s most likely caused by the wheels. With a high dash and long nose, visibility isn’t great either. We’d recommend the higher trims’ safety features to cope with this shortcoming. The ride quality isn’t as good as the cheaper Yukon Denali, which is why we recommended you check it out. However, the large rims are part of the flashy appeal of the Cadillac, so we can’t really knock them for that. There are better performing SUVs for the money, like the GLS below, but the Escalade’s 6.2L Corvette engine has plenty of power to put a smile on your face. Take a seat inside the Escalade and you’ll find thrones worthy of a private jet or upscale theater. Leg and headroom are ample, but shoulder space is somewhat lacking for a vehicle of this size. The large center console eats up much of the available width. Wider drivers may want to spend some time in the driver’s seat before making a decision. Second-row seating is captain’s chairs or bench seating, a no-cost choice. The bench neither reclines nor slides, while the buckets will. Third-row seating suffers as a result. Those who need a useable third row should consider the longer wheelbase ESV model. Cadillac’s CUE (Cadillac User Experience) infotainment system is beautifully designed. The function doesn’t match form though, as the tablet-style touch and swipe functions are difficult to manage while driving. The system isn’t very responsive. Matters are somewhat mitigated by using the voice control. The voice control performs well, understanding many possible variations of commands. Response time can be slow from time to time, but it’s still the most efficient and accurate method of operation. Cargo capacity ranges from poor with the third row up at 15.2 cubic feet to excellent with all rows folded at 94.2 cubic feet. The high ride height does make loading and unloading difficult for all but the tallest drivers, but at least the foot operated, power liftgate makes hands-free operation a breeze. On a positive note, the fit and finish throughout the cabin are impeccable, as is the noise insulation. In higher trims, passengers will be captivated by Cadillac’s rear seat entertainment system. The Platinum trim allows the screens to be operated independently, while lower trims can only display one game or movie at a time. There are six USB ports to keep the whole family charged, as well as a wireless charging pad on the center console. Cadillac provides a 4G LTE hotspot standard, sure to satisfy angsty teenagers in the rear. In summation, the Escalade has an impressive interior befitting of its premium price tag. There is no bigger, bolder SUV on the road than a Cadillac Escalade. It’s iconic. It defines the Cadillac brand. It commands presence. It refuses to settle. With vertical headlights that run across the entire front fascia and vertical rear LED taillights from bumper to roof, the Escalade is unmistakable, day or night. The giant V-shaped grille is emblazoned with the Cadillac crest, just in case you were confused. Beyond the distinctive front and rear designs, the sides and overall profile are very similar to the Chevy Tahoe, on which it is based. The behemoth sits on monstrous 22in rims that further distinguish the Escalade as the family favorite. We think the Escalade has a bold style that will look good for years. For all our negative criticisms, looks aren't one of them. JD Power gives the Escalade a 3 out of 5 reliability rating, indicating average reliability. Consumer Reports gives the Escalade a 1 out of 5 predicted reliability rating, citing major and minor transmission problems as the most common complaints. The Escalade and Escalade ESV are subject to an NHTSA recall for a software problem that prevents airbag deployment in several GM models. The problem can be resolved for free by your dealer with a simple software update. Further research revealed 42 technical service bulletins which mean there are several known issues with the Escalade. 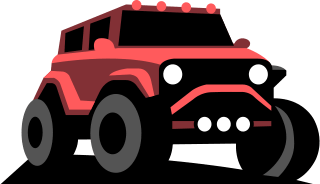 The most common complaint is transmission problems, with some owners requiring replacement with less than 10,000 miles logged. Considering the main competition for the Escalade is the Range Rover, the Escalade is comparatively reliable. However, there are more reliable choices, like the Lincoln Navigator or Toyota Land Cruiser. The Insurance Institute for Highway Safety has not tested the latest generation Escalade. The National Highway Traffic Safety Administration offers a 5-star side crash rating and 4 stars overall. The Escalade received a 3-star rollover rating, signifying a high center of gravity that may cause rollover when maneuvering too quickly or at high speeds. Full side curtain airbags are standard along with front-side airbags and OnStar automatic crash notification that automatically notifies emergency services if you’ve been involved in a collision. A teen driver function allows you to set speed limits for your young drivers. Luxury trim and higher must be purchased to receive additional driver assistance features like lane departure warning and blind spot monitoring that vibrate your seat if you are about to make an unsafe lane change. At low speeds, the Escalade will brake itself if it detects a pedestrian or vehicle in its path. The Platinum trim adds adaptive cruise control that will brake and accelerate, as necessary when engaged. The over 3-ton Escalade is a solid, safe SUV as long as it is driven responsibly and the driver is aware of its handling limitations. The Escalade has a base MSRP of $74,590 and $77,590 for the longer wheelbase Escalade ESV. Four wheel-drive is available for $3,000 on either model. There are three additional trim levels available on both Escalades: Luxury, Premium Luxury, and Platinum. For $5,000, the Luxury trim adds a driver awareness package, rear camera mirror, IntelliBeam, upgraded 22in wheels, power sunroof, forward automatic braking, head up display, upgraded leather interior, lane departure warning, safety alert seat, and blind spot monitoring. The Premium Luxury trim costs an additional $10,000 above the base and includes upgraded 17in brakes, adaptive cruise control, automatic rear braking, front cornering lamps, illuminated door handles, and rear seat entertainment system. For $18,800 more than the base, the Platinum trim equips power-retractable side steps, premium painted 22in wheels, cooled console with covered storage, dual headrest screens, and upgraded aniline leather in brown or black.